On 27 April 2004, there was a live web-cast featuring CMI author/researcher Dr Jonathan Sarfati and Ken Ham. During this live program, web visitors from around the world were encouraged to email their questions to Dr Sarfati and Mr Ham. 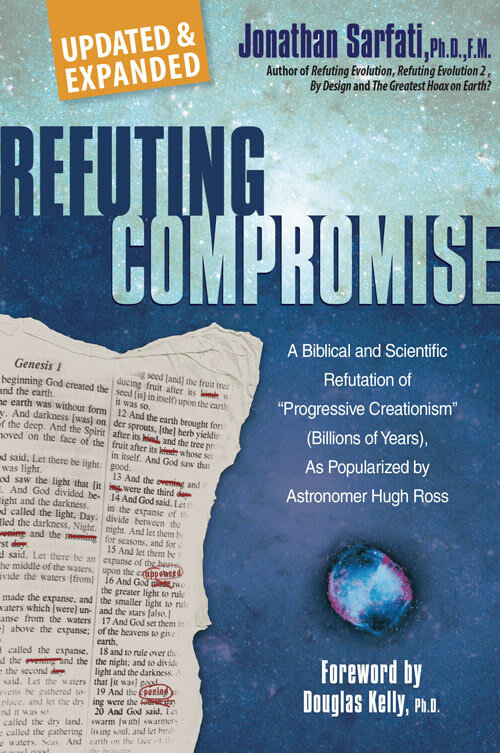 In particular, we requested that they pose questions related to compromise within the church regarding differing views of Genesis, which is the theme of Dr Sarfati’s new book Refuting Compromise. Although Dr Sarfati and Mr Ham responded ‘on air’ to dozens of emails, there were simply too many questions to deal with during the 100-minute time slot. To assist some of the questioners whose emails were not discussed, we have listed some of their questions below, with links to articles on this site for more information. In most instances, the submitted questions have already been addressed in whole or in part on our website. We hope this bit of knowledge about this site encourages you to make full use of the free information provided here, especially through using our search engine. Many often-asked questions are also discussed in our Q&A index. Note: Emails sent from webcast listeners outside the United States received a high priority, and their questions were addressed by Dr Sarfati and Mr Ham live on the program. As you are no doubt aware, an accusatory finger is often pointed at Biblical creationists with claims that we take the whole Bible literally. Would you please go into more depth regarding the difference between being a hyperliteralist, and being a Biblical Creationist who takes context, culture, and Sola Scriptura into account? Perhaps a more preferable word for the proper interpretation of Scripture would be ‘plainly,’ meaning ‘as the author intended’. This incorporates a literal interpretation of a literal context, poetic interpretation of poetic context, etc. This is covered in depth in the article Should Genesis be taken literally? Why are only certain species of fossils found in certain strata i.e. dinos are never found with mammals; only certain species of dinos/mammals are found only in certain strata. … Animals clinging on floating mats of plants/trees in the early stages of the Flood does not really answer the stratification question. These are answered in-depth in our Q&A: Fossils, Q&A: Flood, and Q&A: Geology sections. It is argued that death existed before sin because it is not reasonable to believe that bugs and such were not killed, by whatever means, including stepping on them. Therefore, death as a result of sin would refer only to the death of man. Such an interpretation allows for an old earth. How do we give an intelligent response to this argument? Please see Wouldn’t Adam have stepped on an ant in the Garden? If the world was is [sic] a perfect state at the beginning of Adam and Eve’s life and there was a vapor canopy protecting them from the effects of UV, why [do you] represent Adam and Eve as having dark skin? What would be the point of having dark skin in the Garden of Eden? First of all, there are some serious biblical and scientific problems to consider before adopting a ‘vapor canopy’ theory. Please see Noah’s Flood—what about all that water? for more information. The primary reason [we] depict Adam and Eve with middle-brown skin is that this makes the most sense in light of the genetic variability that would be necessary to generate the various skin colors we see today. Please see What Was Adam Like? We received many questions asking for the ‘best’ evidence for creation or conversely the ‘best’ arguments against evolution. Is there a prevailing view within creationism concerning the issue of distant starlight and time, or are there several creationist cosmologies that are considered viable possibilities? This is covered in detail in chapter 5 of The Creation Answers Book and also in our Q & A : Astronomy section of this website. I’ve read Henri Blocher and his view of the creation narrative, which is commonly referred to as the ‘framework hypothesis.’ Does this view have much of a following? Please see our section on the framework hypothesis in our Q&A: Genesis. I have often been hit with the following request: define ‘kind’ [as used in Genesis chapter 1]. I have to date been unable to do so. Could you give me a formal definition that I could provide? This is covered in chapter 4 of Refuting Evolution 2. What are your thoughts on survival of insects during Noah’s Flood? Why is Australia populated with marsupials and not placental mammals? They at least at one time filled all the niches including top predator. Evolution explains this. How does a dispersion after the Flood explain it? Please see How did animals get from the Ark to places such as Australia? Some listeners asked questions about how to use Genesis in evangelism. We would encourage you to read the many articles under the section What is ‘Creation Evangelism?,’ and why is it so effective today in reaching our evolutionistic, humanistic world with the Gospel. Also, see our Q&A: Creation: Why it matters. How do you reach out to someone who knows all the Bible ‘stories,’ and knows who Jesus is & what He did for us, but says they don’t want to live for Him now (for whatever reason), and [wants to put off] a decision to live for Him? Your friend is in adangerous position. None of us know our time or hour. The day for which he’s waiting to make his decision may never come. Pray earnestly for his salvation, and make sure he understands the precarious nature of his position. Meanwhile, perhaps regularly sharing items from Creation magazine, where the Bible is continually shown to connect to the world around us, may be helpful. Does the discovery of water on Mars bring up any issues that creationists need to be equipped to refute? And how do non-believing scientists readily accept a global flood on Mars but not on Earth? Please see NASA announces evidence for water on Mars.